It is widely accepted among conservation biologists that genetics is, more than ever, an essential and efficient tool for wild and captive population management and reserve design. However, a true synergy between population genetics and conservation biology is lacking. Following the first International Workshop on Population Genetics for Animal Conservation in 2003 at the Centro di Ecologia Alpina, Trento, Italy (recently incorporated into the Edmund Mach Foundation), the scientific committee felt that, given the global urgency of animal conservation, it was imperative that discussions at the conference were made accessible to graduate students and wildlife managers. 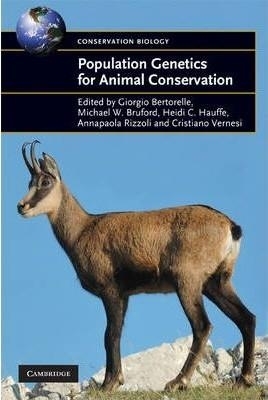 This book integrates 'the analytical methods approach' with the 'real problems approach' in conservation genetics. Each chapter is an exhaustive review of one area of expertise, and a special effort has been made to explain the statistical tools available for the analysis of molecular data as clearly as possible. The result is a comprehensive volume of the state of the art in conservation genetics, illustrating the power and utility of this synergy.